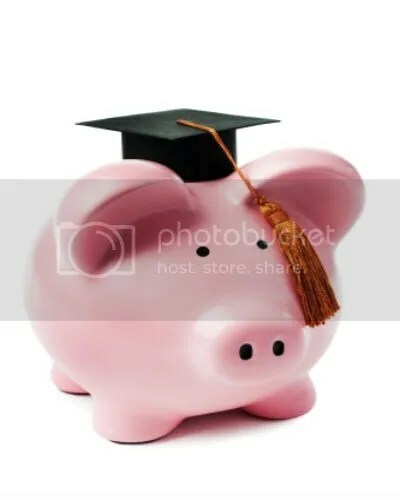 Its back to school time and so many college students have scrimped and saved to go to college — including taking out some student loans. I knew that college loans was up — but holy smokes — up “310% more than a decade ago.” All I can say is WOW. I’m an HR person — my degrees are in Biology (I was pre-med — long story, I’ll have to tell you about it another time) and I completed another degree in English and I went back to grad school for a degree in business. My advice — choose your major wisely, work you arse off, get good grades, intern, network. Have fun and know that you don’t have to figure it out — but know that in your 20s (early career) you are laying the foundation for the rest of your life.. err, your working career at least — no pressure right?You can make changes and adjust, but get the foundation right. 1. College costs a lot more than it used to. 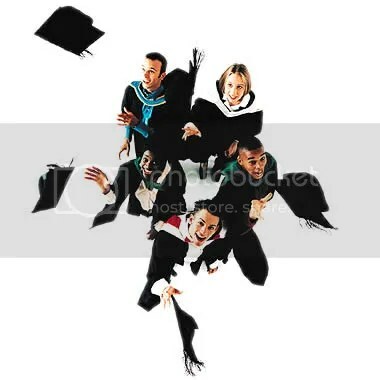 The good news: College grads earn 84% more than high school grads. The bad: Getting that sheepskin is getting a lot more expensive. via Charts: How Big Debt on Campus Is Threatening Higher Ed | Mother Jones. I love learning, I love the class room setting — just make sure you’re getting the best bang for your buck — I’m not saying pick money over passion — I’m saying be strategic and think about short term goals and long term gains. This one is a little near and dear to my heart — its the boat my special guy is in as well as several close friends — people with bachelors and even masters degrees who are working in jobs that they are overqualified for. A sign of the times? A temporary thing? Bad luck? Poor interviewing/networking skills? … all of the above, none of the above, or maybe a combination. I’m honestly not sure. Getting a college degree still helps your chances of getting a job, but not necessarily a good one. Some Americans are becoming overeducated for the jobs that are available to them, as data shows more college educated workers are taking low-skill jobs that are clearly below their qualifications. 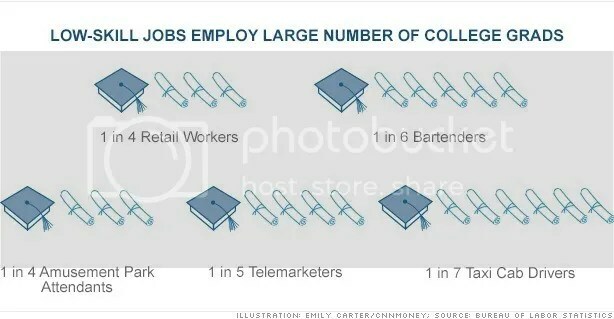 via Overeducated and underemployed – Economy.